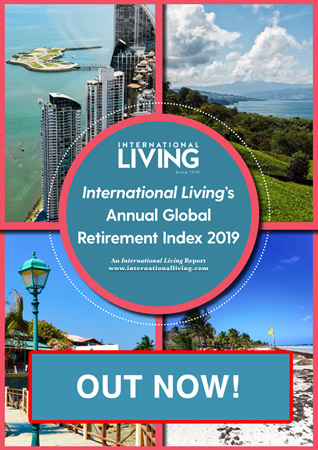 If you’ve been researching places around the world to retire, you may have noticed that Panama keeps showing up in lists of top spots. And with good reason. I’ve been living in Chiriquí Province in western Panama for the past six years. So I can tell you, there are plenty of reasons why Panama keeps taking those high honors. 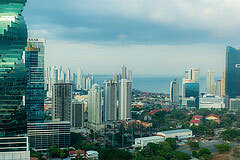 For North Americans, Panama’s location is ideal. It’s far enough to get away from the hustle-bustle of North American life, yet close enough to get back there easily and see family, grandkids, and friends. It’s easy to get here. Airfares are affordable and flight times manageable. Copa Airlines, Panama’s airline and my personal favorite, has non-stop service to many U.S. cities and is expanding all the time. Now they even have a daily service from Panama City to David, where I live, so getting to this region of Panama is a cinch. If you get the Pensionado visa you have discounts on air, ferry, and bus fares. If you buy your ticket here in Panama you get 25% off the basic fare for any flight. I recently bought a one-way ticket from David to Panama City on Copa and paid only $68. The Pensionado Program provides other great benefits for retirees. For hotel stays, we get 50% off the regular room rate during the week and 30% off on weekends. Restaurants are included too, with 15% to 25% off the meal portion of your check. With your savings you can go out and have fun with another discount on tickets for movies and concerts. Sometimes it may not be much, but these savings add up and make living in Panama that much easier and more enjoyable. Living in Panama is easy. For one thing, we use the U.S. dollar so you never have to calculate exchange rates. Infrastructure here is better than most other parts of Central America and improvements are being made all the time. Utilities are affordable and reliable. My electric bill runs about $36 a month. 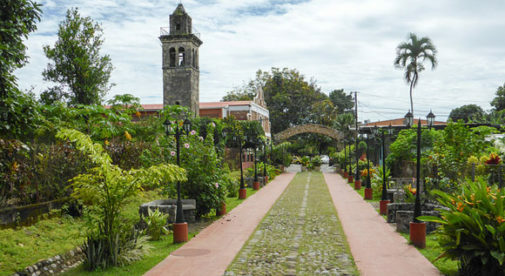 Internet service is top-notch all over Panama, as well as cell phone coverage, with several providers competing to offer the best service and rates. I pay $82 a month for my high-speed internet and cable TV service. Copa airlines offers direct flights from Panama City to many cities in the U.S. including Boston and New Orleans. And then there’s two of Panama’s top assets…its climate and environment. Forget about winter weather and hurricanes—we don’t have them. You’ll never be snowed in, have frozen water pipes, or get “cabin fever” because you have to stay indoors. With our warm, balmy weather you can get out and go wherever you want. In Panama, we have forested peaks with cool mountain air, crystal turquoise water lapping white sand beaches, and a modern, cosmopolitan capital city. For its small size, Panama packs a lot of variety in this tropical location. From my home just outside of David, I can be in the beautiful highland town of Boquete in 40 minutes. I drive there about once a month to attend the Tuesday market, visit with friends, go out to lunch, and just take in the fresh air and marvel at the colorful flowers. Or I can drive 40 minutes in the opposite direction and arrive at Playa La Barqueta, a long, unspoiled stretch of beach on the Pacific coast. It’s one of my favorite beach destinations, with a full-service resort right on the beach that has a gorgeous swimming pool. I can walk along the surf for miles and never see another soul. With all the pluses for retirees here it’s easy to see why it makes those “top 10” lists year after year. And there’s lots more that draws retirees to Panama, and if you come visit you may discover your own reasons to live here.